Product prices and availability are accurate as of 2019-04-16 04:56:25 UTC and are subject to change. Any price and availability information displayed on http://www.amazon.com/ at the time of purchase will apply to the purchase of this product. The MX30L is designed for more than just performance. It is designed for the riding enthusiast. The MX30L is a factory activated premium AGM (Absorbed Glass Mat) type battery is completely spillproof and leakproof with added vibration resistance that provides increased performance, service life, durability and safety with plenty of quick starting AGM power. 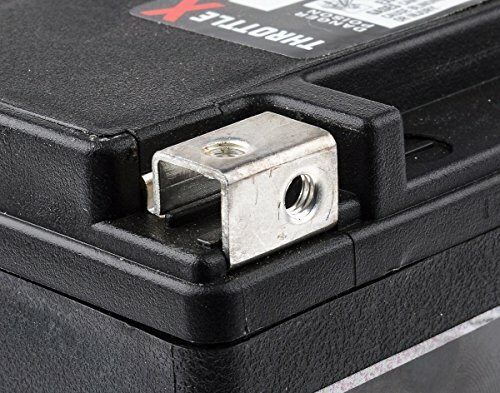 The top and side terminals on the MX30L provide versatility and increased strength to withstand the damaging effects of vibration and are more forgiving during installation. The tear resistant absorbed glass mat separators are protected by full frame plates that provide increased cranking amps and extremely low discharge rates. 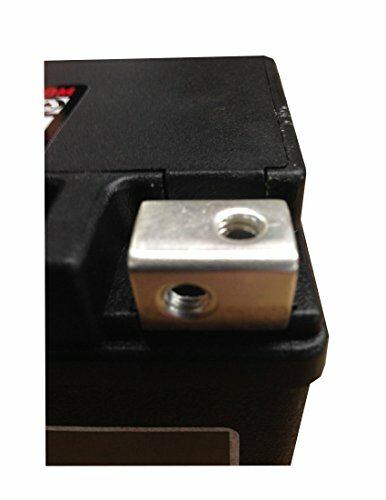 The MX30L meets, or exceeds, the specifications of your rides original battery. With ThrottleX just buy and ride. With confidence! 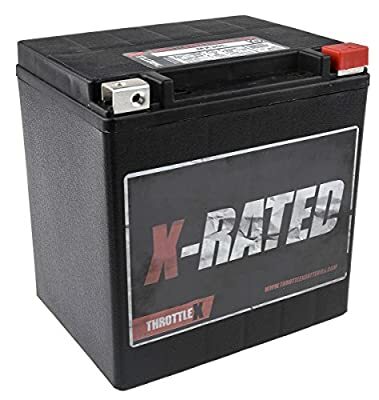 Maintenance Free - Fully Charged - Ready to Install Meets or Exceeds Specifications of Original Battery - 600+ CCA and 30 A.H. 12 Month Free Replacement Warranty with a 30 Day Money Back Guarantee AGM (Absorbed Glass Mat) Non Spillable Sealed Technology With Heat Sealed Cover Dimensions: L = 6 5/8, W = 5 3/16, H = 6 7/8. Weight = 22.5 lbs.